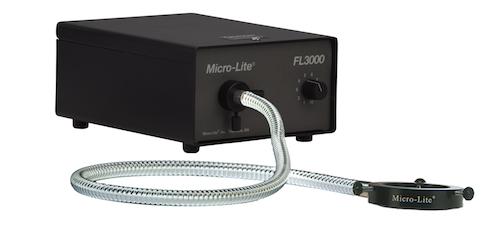 Micro-Lite™ Fiber Optic Illuminators - Our highest output illuminators, the 150w Halogen illuminators come in various fiber optic configurations. If all-out intensity is what you seek, this is the product line for you. Made in the USA. 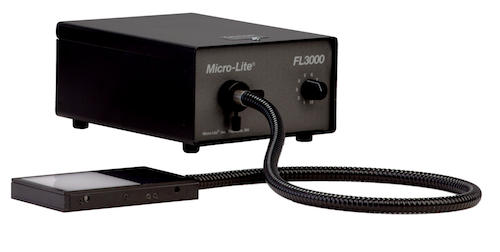 The Fiber Optic line of illuminators from Micro-Lite™ are our highest performance series. We offer three distinct fiber optic styles; annular ring, single gooseneck, and bifurcated dual gooseneck. We offer numerous annular ring sizes, for lighting of various diameter lens systems. The key to our success with the Micro-Lite® Fiber Optic series is not one thing… the devil is in the details. No more will you have to deal with burned up fiber optics. 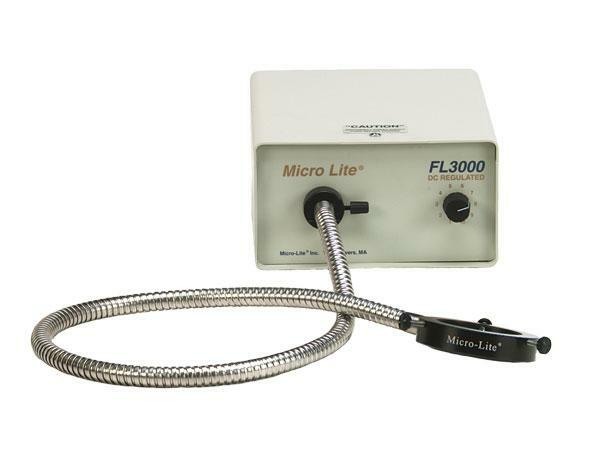 Included standard on all Micro-Lite™ Fiber Optic illuminators is an internal IR filter. This retains all heat to the power box, and allows cool, bright light to enter the fiber optic cable. 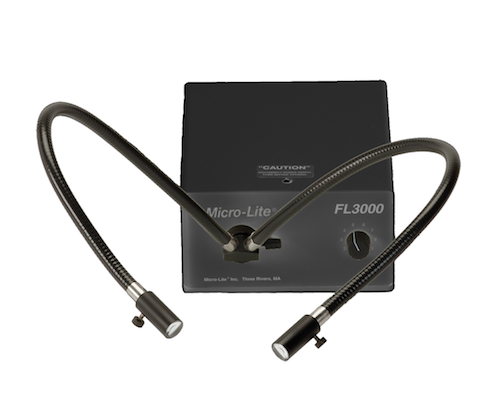 The solid state design of the FL3000 series provides up to 45% more light than the competition. Our most popular model is the FL3000-A. 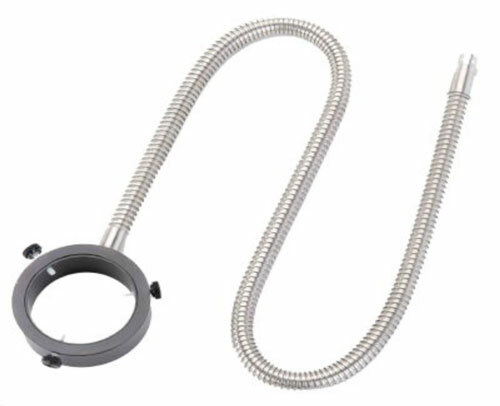 This annular ring light source is 36” long, and features a 2.35” ID machined ring. This fits onto most microscopes manufactured today. We do have other diameter fiber annular rings available, and can manufacture custom fibers. 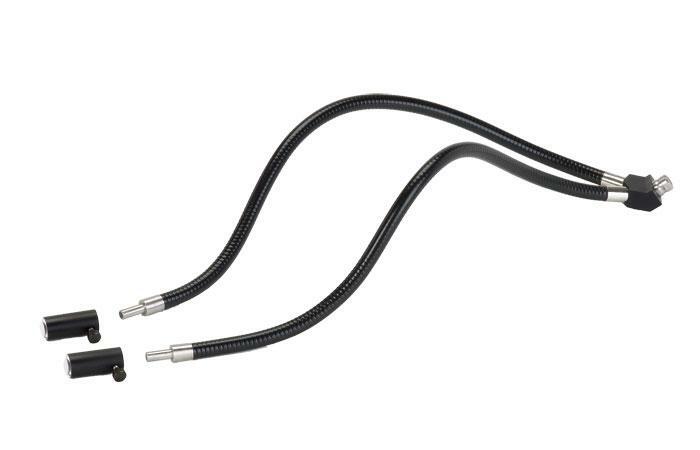 The FL3000-D is our bifurcated dual gooseneck, with 18” of total fiber reach. With this package, we include standard a set of focusable lenses on the fiber, to allow optimum light dispersion. You can focus the light into very tight circles, or remove the lenses for a wide broadcast of light. The choice is up to you. The FL3000-S series features a single gooseneck fiber bundle, for specialized illumination tasks.